Today I learned of the passing of another one of my favourite beautiful creative creatures. 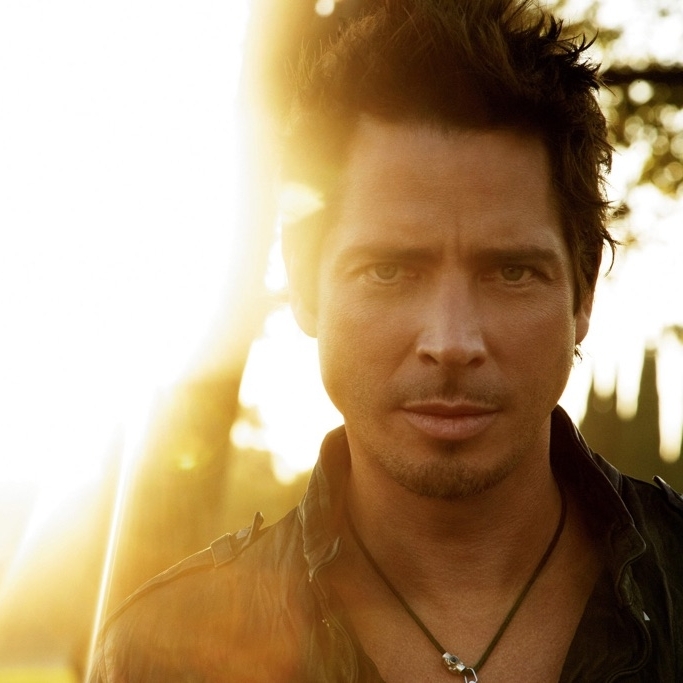 Releasing and expressing his emotion through his writing and music, people felt a connection to Chris Cornell. We could find solace in his art, resonating within us. My heart breaks for these sensitives. They feel so much, everything. Seeing hidden beauty that may be missed by others, morphing and exploring, feeling the euphoria and peace within it. But they also feel the pain like no other, the disconnect that can happen when the balance is lost, underlying energy so overwhelming that it's painful and almost unbearable. A blessing and a curse. I connect with that tribe. I want to support as much as I need to be supported when those difficult troubling times occur. When I heard the news, I wept for a long time. It made me think of my mothers untimely passing this past September. Her spirit was unlike anyone I have ever know. Pure innocence beauty and love. She would see right past the outer shell of a person and connect right with their true core soul, bringing happiness, joy and laughter. Her light shone incredibly bright, but she also felt so deeply for the underdog.The Angels needed her. We were blessed to be able to sweetly guide her to the other side where she is finally in peace and now guiding us all to remember to be kind gentle and enjoy the moment. My connection to rose was already happening last year when we started collecting wild NOOTKA ROSE and our own fragrant heirloom roses throughout the spring and summer for distillation and infusions. My mother had decided to help one particular day. The image of her contentment and happiness will always be with me. Her spirit is in the last drops of our first batch of ROSE & FRANKINCENSE SPIRIT WATER. When she passed a few months later, in my mourning, I learned that rose was perhaps the ultimate essential oil for grief and loss as well as Frankincense resin and Cypress. I had created these synergies already in the distillate waters of ROSE & FRANKINCENSE as well as the WILD ROSE CANDLE earlier that spring without fully knowing they would be used for healing in my great loss and darkest time soon. Although they did not take away the pain away completely, they served as a source for deep and comforting self love and care. I still ritually anoint my body with SACRED PARFUM and SACRED ANOINTING BODY OIL when I'm wanting to connect. Underlying energetics of these oils are based on their plant, resin & leaf source. RESINS such as FRANKINCENSE & MYRRH serve to protect & heal wood from deep wounds such as our own emotional scars. Energetically honouring our introspection, encouraging mediation. Slowing our breathe & calmly navigating unsettling thoughts as well as reconnecting our physical & emotional bodies. ROSE is Compassion and self love It is believed to heal dispair, soothe grief and shock by releasing traumatic energy. Leaves are the plants respiratory organ, translating light, supporting photosynthesis and securing against water loss, strengthening us with nourishing energy to be strong. CYPRESS leaf is spiritually cleansing. It Navigates major change that requires you to stay strong in your core while moving through new unknown territory. I had my WILD ROSE CANDLE burning during the evenings once the initial shock had subsided and I was ready for the heady rose. Otherwise, it can be a little too overpowering for our spirit. I still have great sadness from time to time with my mothers passing, that is endivatable. But through self care rituals, I have reconnected, found relief, love and peace. ©2017 FLORE BOTANICAL ALCHEMY. ALL RIGHTS RESERVED.